Facebook might now be facing a grim reality after a latest survey by the American Customer Satisfaction Index (ACSI), which revealed that Facebook users are not satisfied with the happenings at the social network lately. More worrisome for Facebook is the fact that while its customer satisfaction is plummeting downwards, its rival network, Google Plus, is catching up fast! Not only that, other social networks like Twitter and LinkedIn have overtaken it as well with respect to customer satisfaction. To make matters worse, Facebook hasn't made much of a mark ever since its IPO and its first quarterly earnings as a public company. So what does this mean? 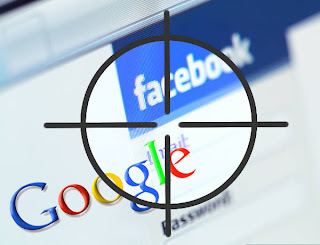 Has Google Plus finally found the opening it has been looking for, or has Facebook yet to see the worst? The ACSI conducts this survey annually, taking into account more than 230 companies across multiple sectors. It accesses how happy a company's customers or users are, and then rates the company accordingly, on a scale of 100. This year, Facebook scored a 61, a record low for the company, and a 7.6% decrease from last year's 66. Before that, Facebook scored 64 in 2010. Hence, this 61 comes as a shock, especially since it is the lowest among all of Facebook's major competitors. Google+, on the other hand, starred in the survey. This was was a debut for Google+, and it rose to the occasion and scored a whopping 78, the top score which it shares with Wikipedia. Wikipedia has been topping the survey for the last three consecutive years. Now, it shares the lead with Google Plus. The major reasons for Google Plus's strong position is the absence of ads, and integration with other Google services, where it acts as a social glue holding everything together to provide a seamless experience to the users. Pinterest, Twitter, and LinkedIn were also included the first time ever this year in the survey. And surprisingly, all three fared better than Facebook. They scored 69, 64, and 63 respectively. Hence, Facebook might need to seriously reconsider its tactics. Myspace was not included for a second year in a row. Facebook might have mis-calculated things when it was introducing new features such as the Timeline. While users had the option to go or not go for the Timeline layout, Facebook pages weren't as lucky. And the layout was enforced on them. This caused a lot of discontent. The Timeline might look great to some people, most others aren't in favor of a dramatic change. The survey also found out that users have security concerns. They don't entirely trust Facebook, what with all the widespread spam and scam. They are conscious about their privacy as well. The ticker feature saw to that. Now, people can see everything their friends are doing in the Ticker. There are other such features as well that make people rethink about sharing their personal information. 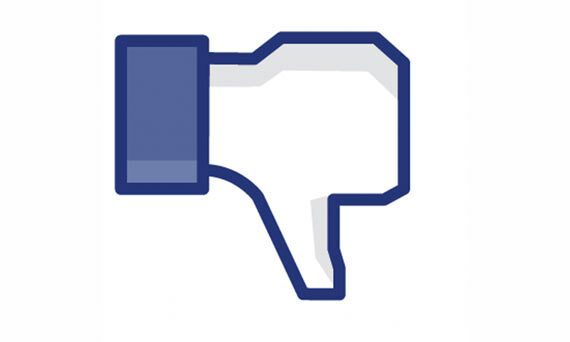 Users also don't like the ruthless, "in-the-face" advertising on Facebook. Facebook might be the biggest social network of all with over 900 million users, but its rivals are no newbies either. This could very well be their chance to gain the ground lost by Facebook. Such a low rating has hurt Facebook's reputation. Donna Tam at CNET says, "It's got to hurt Mark Zuckerberg's ego to see another low rating, considering the company's mantra is about making users happy over advertisers." If there's one thing Facebook needs to learn, it's that keeping users happy is the key, and not adding more services. Only satisfied users will use those services. Pleasing over 900 million people isn't easy. And such a large number could be the reason why Facebook got such a low rating. Compare this with Google Plus's 250 million, and Twitter's 500 million. The more people there are, the more critics. But nevertheless, customer satisfaction should be every company's number one priority. As for Google plus it has to cover a lot of ground. But it has a lot more potential, what with all the integration with other Google services. And if this trend of keeping customers satisfied remains, then we could be looking at the next leader in Social Media in the near future. Well It was on the cards FACEBOOK Has become a place full of fakers. While on the other hand people use to spends tons hours on Facebook but now everything has changed dramatically because Google Plus offers pretty much same thing. However, Google Plus still has less users then Facebook but in 2 to 3 years I Guess Google Plus will be the Social Media Giant. Facebook has started to Sell Their Shares I hope they get some good results because their graph is going down on considerably. @Syed Faizan Ali yes, true that. Google Plus has achieved more success in its first year than any other social media ever did. Besides, it has the potential to reach further than Facebook, what with the +1 buttons in search results and integration with other google services like blogger, adsense etc. I disagree totally, I don't think any one will ever catch Facebook for social, nor will anyone ever catch Google for search, or WalMart for shopping. Correct, That's really all about what's happening. Facebook have obviously filled with more number of fake accounts and scammers today. Facebook timeline was truly enforced to users even if they were not interested with timeline feature. These are the severe reasons for the down pal. You are right. Good!it has to happen with then.I really hate the timeline feature and also ticker.And facebook didn't ask me for permission to apply timeline on my 75k Fan page.And also i found alot of spam and scam on facebook especially in their apps whick sometime redirect you to spam or scam website sometime ask you for surveys. Great work dude, you gave nice post to us. Thanks for spending the time to discuss this, I feel strongly about it and love learning more on customer satisfaction survey topic.